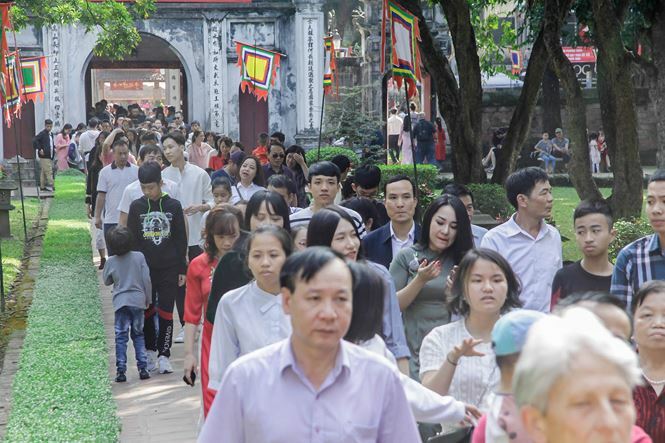 Many people have visited Hanoi’s Temple of Literature to ask for calligraphic good luck wishes on the first days of the Year of the Pig. 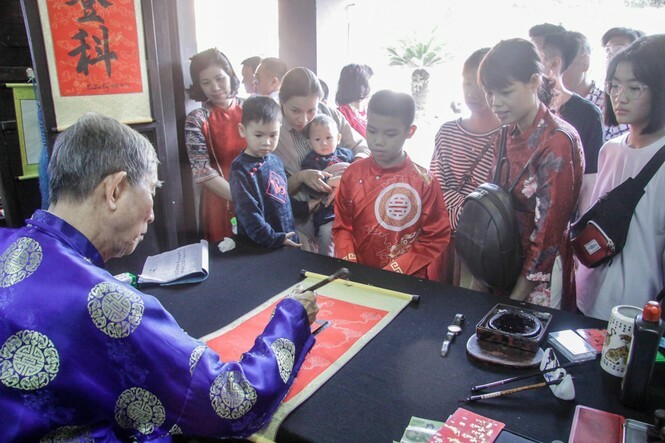 It's a long tradition among Hanoians to visit the Temple of Literature to take home calligraphy works, which carry their wishes for the year ahead. 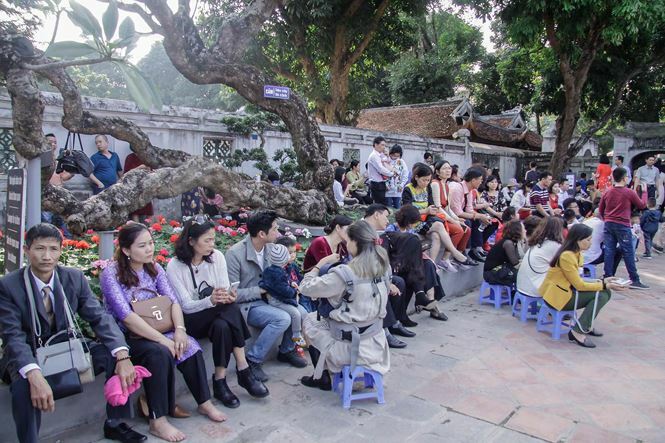 The temple has received thousands of visitors on the first and second days of Tet which falls on February 5 and 6. 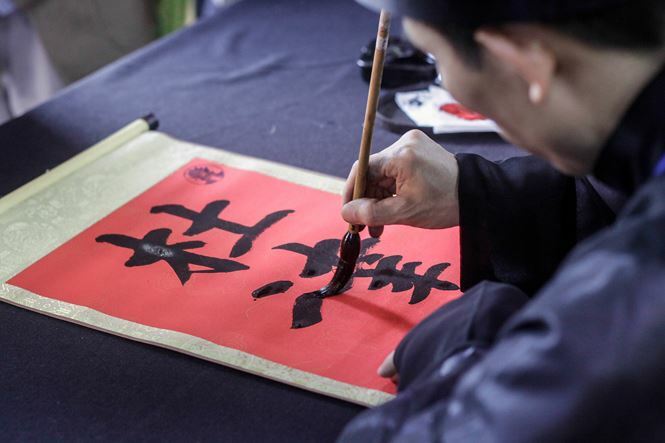 There were five calligraphers who are very busy due to the huge number of customers. People had to wait up to two hours for their calligraphy on red or yellow do paper priced at VND100,000 (USD4.35) per sheet. 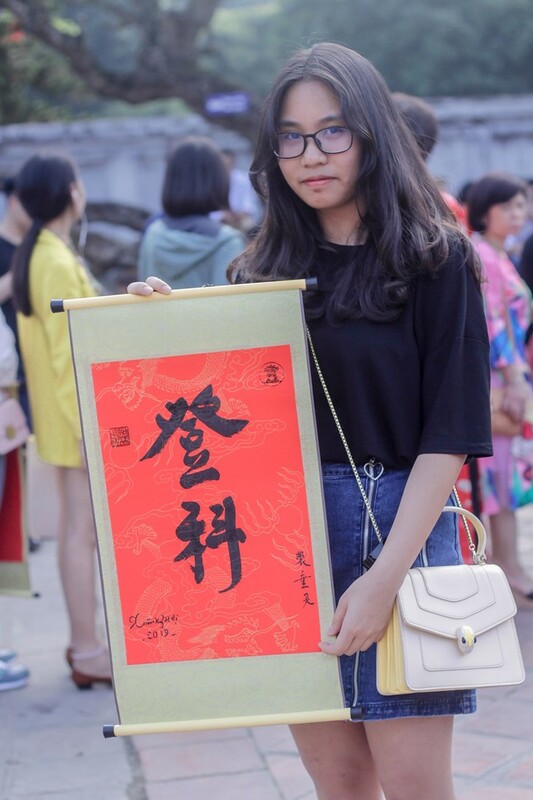 Nguyen Thuy Linh, a secondary student showed a sheet with the two words which are literally translated as Graduate with the hope for a successful graduation from secondary school.